The name “Isarai” derives from famous spring water. 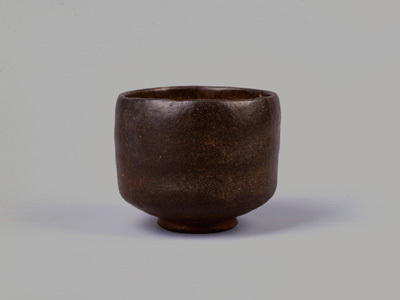 This bowl in the shape of Rikyû's preferred type is representative of Sôkei's work and marked with Sôkei's Raku seal. 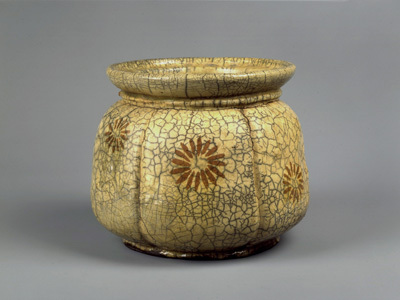 The body is coated with a white glaze called kôro glaze, on which a chrysanthemum design is applied in yellow slip. The base bears Sôke's Raku seal. It is the oldest Raku example of fresh water jar.